Amazon’s announcement on Tuesday that it will now pay a minimum of $15 an hour in the U.S. shows that when workers fight back and organize, we can win. We should be clear: this wage increase does not come from the “benevolence” of Jeff Bezos, Amazon CEO and worth over $166 billion, the richest man in modern history. Amazon’s deplorable conditions and poverty wages have been a hallmark of this corporation for years, and it’s no accident that this concession comes now in the wake of intensified worker organizing. This victory shows what movements can accomplish and follows the Tax Amazon struggle in Seattle, the nationwide fight of 15 Now and labor unions for a $15 minimum wage, warehouse worker organizing in the U.S., strikes of Amazon workers in Spain and other countries, and the Bernie Sanders’ Stop Bezos Act which exposed how Amazon warehouse workers are forced to rely on food stamps and other public services. It’s also no surprise that in the days following Amazon’s announcement, the company also announced eliminating monthly bonuses and stock awards for warehouse workers and other employees. The working class wins reforms under capitalism based on the strength of our movements in balance with the minimum that billionaires like Bezos and the political establishment believe they can afford to lose. In 2014, Socialist Alternative played a leading role in making Seattle the first major city to pass $15 an hour. Last summer, Minneapolis became the first midwestern city to pass $15, and now workers are poised to win across the river in St. Paul, MN. These fights have upped the pressure by raising the sights of working people and what we can win. Under increasing pressure, companies like Walmart and Target have raised wages for their employees, in part to compete against the ever-increasing reach of Amazon. One key lesson workers can draw from this victory is that struggles by working people often do not proceed in a straight line and our victories are often not immediate. 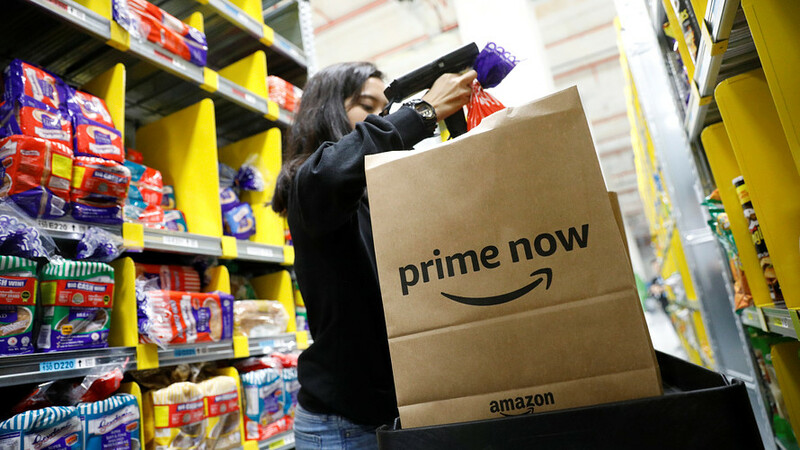 Over the past few years, workers across the U.S. exposed Amazon’s horrific warehouse conditions including restricted bathroom breaks that led to workers urinating in bottles, and new, mandatory technological devices to closely track workplace movements. The truth about conditions at Amazon warehouses has become public through the courage of Amazon workers organizing and speaking up in spite of risks to their jobs. Amazon and Bezos’ bullying in Seattle over the Amazon Tax (also called “head tax”) to fund affordable housing exposed the greed and ruthless character of Amazon executives and the corporate elite. They feared the inspiring example such a tax would set for workers, even though it represented a fraction of what Amazon had just recouped in recent months from Trump’s massive corporate tax cuts. In the run up to the passage of the Amazon Tax in Seattle, Amazon put construction of its new tower on hold, threatening 7,000 construction jobs unless the tax was abandoned. Even after the tax was passed, Amazon continued its bullying behind the scenes until the majority of City Council members and Mayor Durkan caved and repealed the tax. But Amazon’s brute force tactics in Seattle came at the cost of a huge blow to their image nationally, with even corporate media outlets forced to acknowledge the blatant blackmail that had taken place. However, Amazon is far from alone in its brutal conditions or low wages. Inequality in the the United States is at its highest levels since the Great Depression. In a further signal of the bankruptcy of the capitalist system, Amazon’s stock fell following the announcement of the modest commitment to end poverty pay at the second wealthiest corporation in the world. This shows why our fight for higher wages is connected to an indictment of capitalism, a system that relies on the divide and conquer of workplace racism, sexism, and driven by profit. It’s no coincidence that Amazon announced this concession during a time of increased unrest in U.S. society: teachers taking strike action, fast-food workers walking out against sexual harassment in the #metoo moment, and a UPS contract battle centered on the question of a two-tiered wage system that could mean some workers would never even reach $15 an hour. Broadly, corporations like Amazon fight tooth and nail against improving workplace conditions, and instead are doubling down with a schematic of corporate austerity: tax cuts for the rich and big business, unaffordable housing and health care, and displacement of people of color out of the same wealthy cities like Seattle which produces record crops of millionaires and billionaires. And yet Amazon’s worst fears may come true: facing a crisis of low-wages and unaffordable housing, working people across the U.S. are discussing how to carry forward the Tax Amazon struggle, particularly in California’s Bay Area and Silicon Valley. Across the country, the boom for big corporations and Wall Street has not been reflected into improved living conditions for ordinary people — but the teachers won improved workplace conditions and wages after taking relentless action, and the Seattle Democratic establishment’s ties to big business interests was exposed when it bowed down to Amazon and repealed the tax that would have only applied to the largest corporations in Seattle, while proposing no humane solutions for the city’s homelessness crisis. This victory must be a call to action to workers in the U.S. to build the movement for a federal $15 minimum wage, for taxing big corporations to fund affordable housing, and for Medicare for All. It points towards Amazon warehouse workers here and in other countries fighting to unionize and to winning workplace victories. None of that will be automatic – we will need to get organized in our workplaces and in movements, to defeat the political establishment that defends the interests of Amazon and Bezos and build a political alternative to meet the needs of ordinary people. Next articleHow Do We Win the Fight Against the Right?